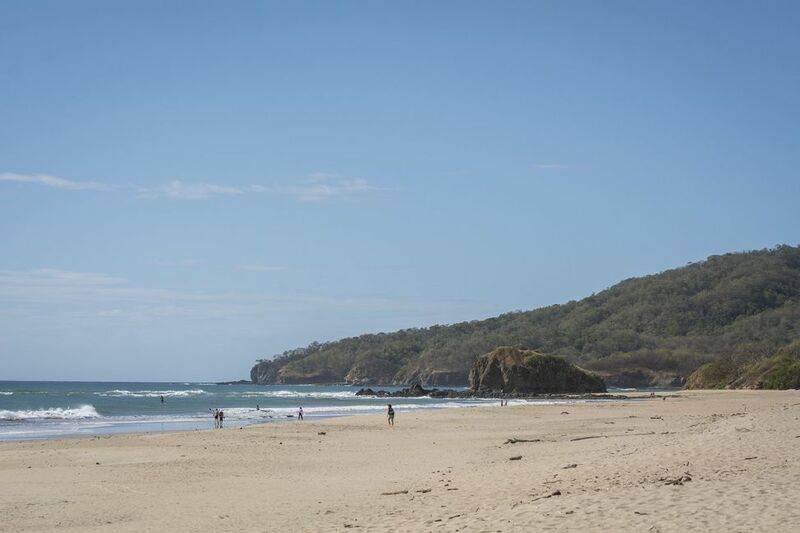 Just north of Playa Tamarindo, in Guanacaste Costa Rica, you will find the beach town of Playa Grande. The estuary that separates the two is part of Las Baulas National Park. You can easily cross back and fourth by boat which makes the two towns very accessible to one another. By car, it is about a 25-minute drive. It is also only a 20-minute drive to Playa Conchal, Playa Brasilito and Playa Flamingo. The Liberia International airport (LIR) is less than a one-hour drive. The beach is a 3-mile stretch of white sand. Many people consider the surf to be the most consistent wave in all of Costa Rica. Off shore winds blow here most of the year making for surf magazine conditions and lots of tubes. The surf however is a high tide break, which means at low tide the ocean is calm and serene. At low tide the conditions are perfect for playing in the waves and building sand castles with your family. Sunset is a very popular time of day so each night you will find most of the town gathered at the beach to witness the beauty. Playa Grande is a cool little town made up of surfers, young families and retirees still wanting an active life style. Residential real estate is at the heart of the market here with single-family homes making up the majority. The town is unique in the fact that there is not a ton of commercial development so the vibe remains very chill. The people who live here share a love of nature, the beach, and a respect for the environment.